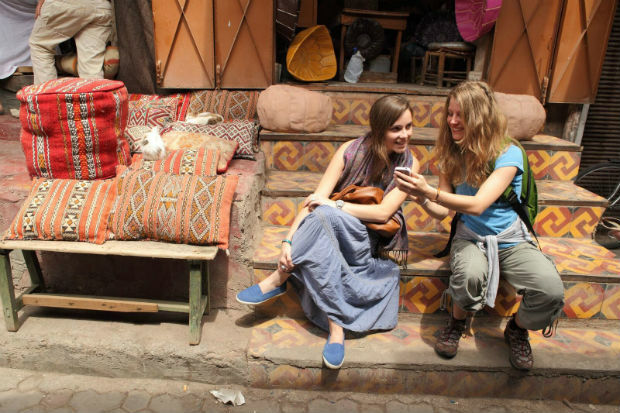 The alluring wonders of the world dare us to venture off the beaten track. We live to get lost in the adventure. 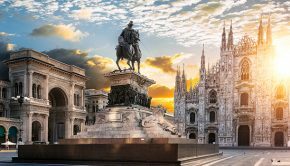 If you’re curious about the other side of the planet and ready to discover new surroundings, sights, flavours, and experiences – start here. 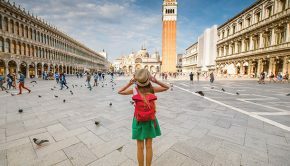 We chose our top 10 adventure travel tours with G Adventures and Topdeck that will immerse you in the world around you and provide you with a glimpse into the lives of locals around the world. 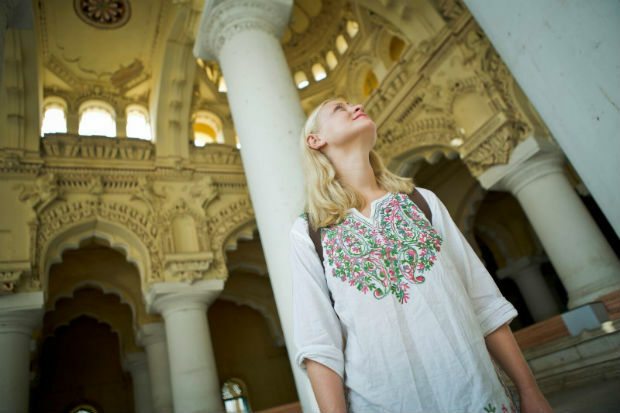 Whether you’re a travel novice or a seasoned nomad, we love these tours for the special inclusions that make travel so significant. Which adventure will you choose? 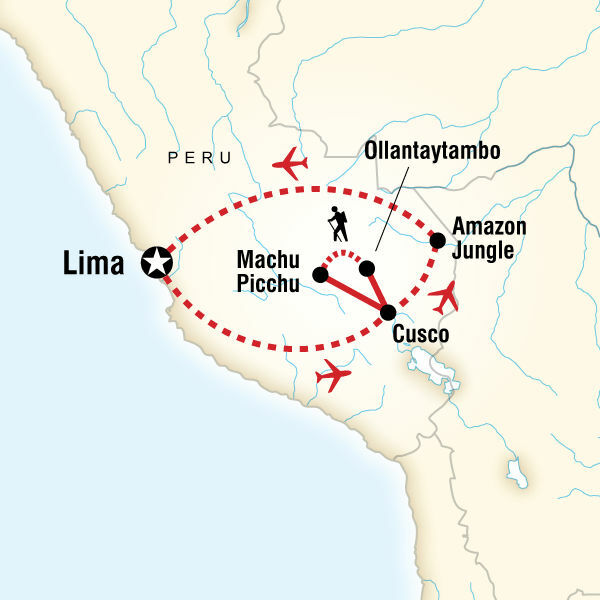 Whether you’re scanning the canopy for wildlife from the comfort of the exclusive G Lodge Amazon, or trekking the ancient Inca trails to Machu Picchu, take your time and marvel in the scenery and wildlife while immersing yourself in your surroundings along your journey through Peru. Snorkel the warmest blue and turquoise clear waters, relax under swaying palms and sip on a coconut in this heavenly tropical paradise. 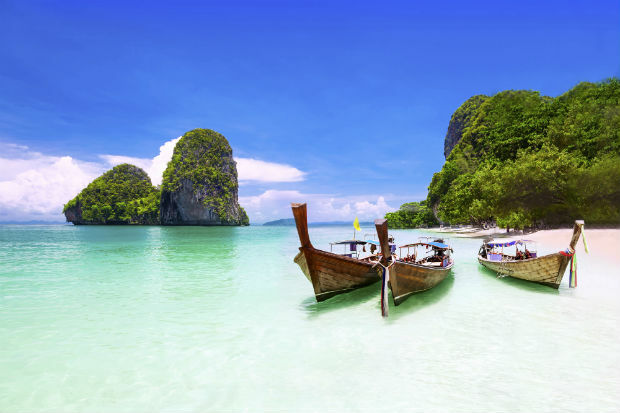 Thailand is made of hundreds of islands throughout the Andaman Sea and the Gulf of Thailand. 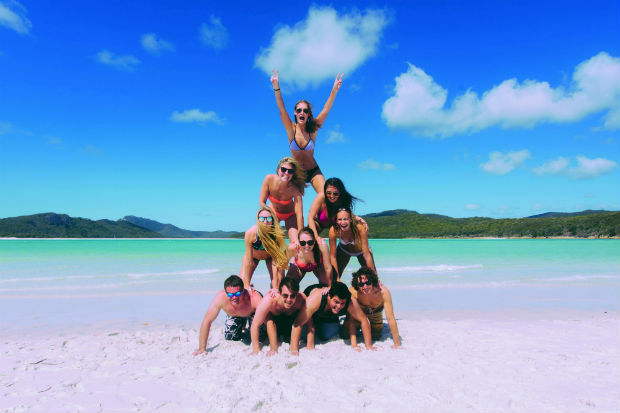 Whether you’re looking for a quiet white sand beach, an all-night full moon party, or just want to scout the island where The Beach was filmed, we have two variations of one of the greatest adventure holidays ever! 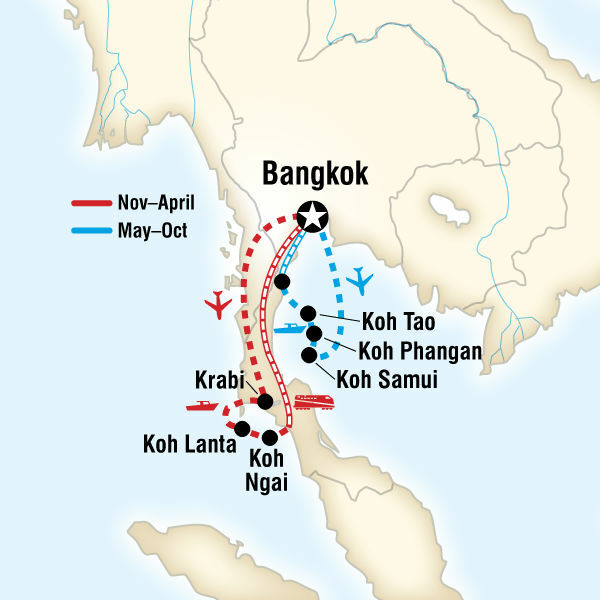 Spend nine days on a guided tour starting and ending in Bangkok, visiting Koh Samui, Koh Phangan and Koh Tao. Koh Samui, Thailand’s second largest island, is one of Thailand’s more popular and developed islands built for resort goers. Koh Phangan is best known for its legendary full moon parties on Haad Rin beach which draws in crowds from 5,000 to 30,000 people. Koh Tao is a great spot to scuba dive, snorkel, and relax. 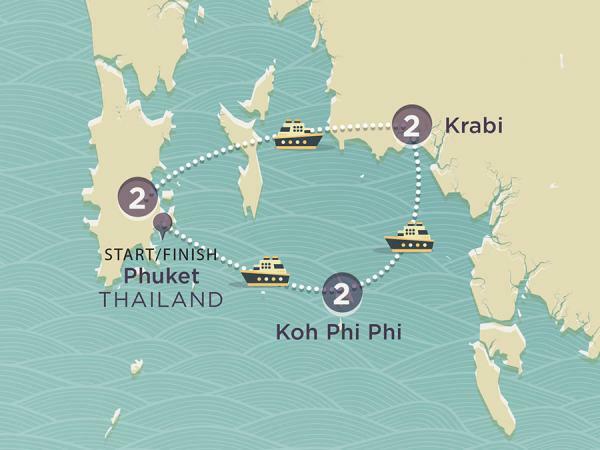 Start your seven-day adventure in Phuket and explore Krabi and Koh Phi Phi, the famous island that kinda outshined Leonard DiCaprio in The Beach. Ko Phi Phi is wonderful for exploring on foot – with no cars on the island, you can freely walk around like you own the place. 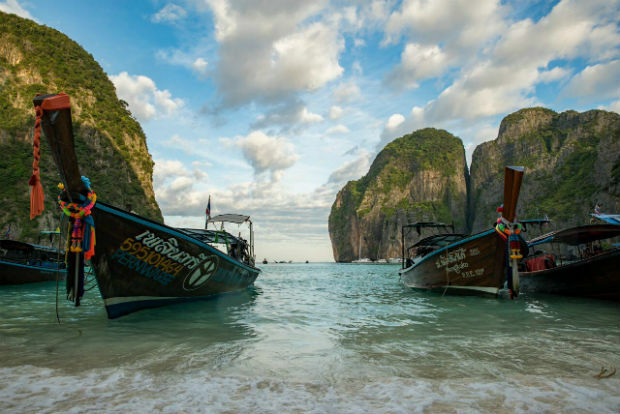 Explore the little towns in Krabi between beach seshes and marvel in the paradise that surrounds you, a panoramic landscape of rock caves, lagoons, and limestone cliffs. 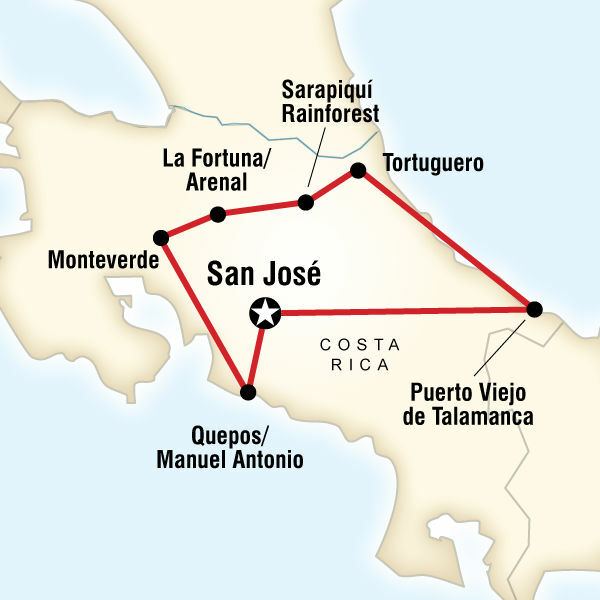 Explore Costa Rica’s volcanoes, wildlife, rainforests, and beaches on this tour of hidden treasures with a balance of guided excursions, free time, and a few extra optional activities for the adrenaline junkies. 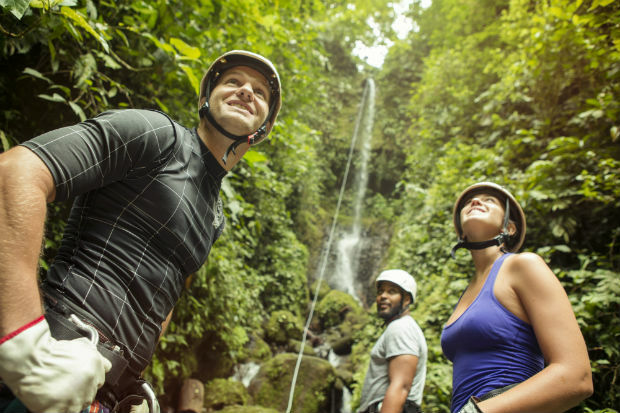 Explore a cloud forest in Monteverde, rappel waterfalls or whitewater raft in La Fortuna, visit the nesting grounds of green and leatherback turtles in Tortuguero. 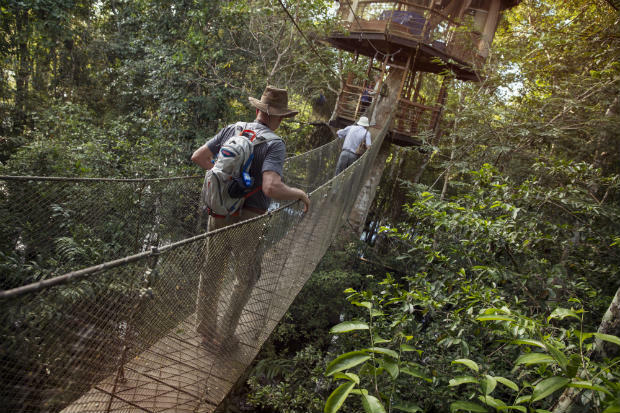 However you want to discover one of the most bio-diverse countries on the planet, Costa Rica is a wonderland for adventure. 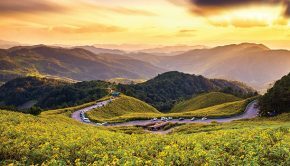 If you’re thinking about exploring northern Thailand, you are in for the time of your life! 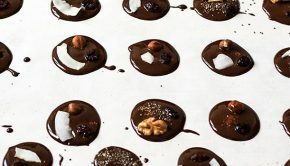 Shop the floating markets in Bangkok or do a cooking class and spot moats and medieval architecture in Chiang Mai – the heart and soul of the north. 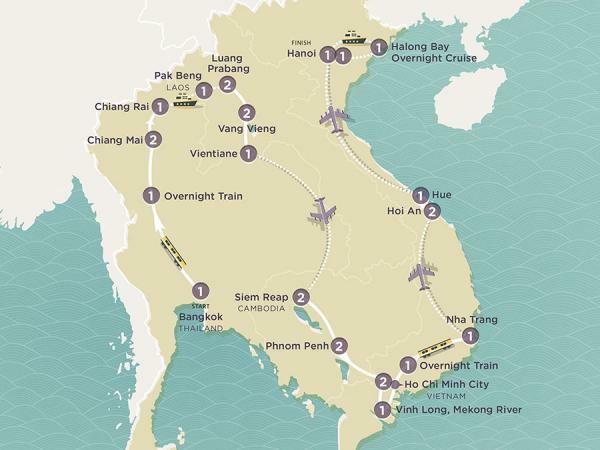 Cruise the Mekong River, pick up some textiles and treats at a market in Laos, partake in a daily almsgiving of the monks, see Siem Reap like you had seen it straight outta Tomb Raider, and explore the French-built capital of Phnom Penh on this epic adventure through Thailand, Laos, and Cambodia. Discover the quiet grandeur of India, from the pearlescent ivory of the Taj Mahal to the peaceful sunrises along the Ganges. Whether you want to wander the streets of the Pink City, or take a cycling tour through the rural Dhula Village in Rajasthan, or visit the quiet town of Orchna on the banks of the river for a puja ceremony, there is nowhere in the world that can enlighten like India. 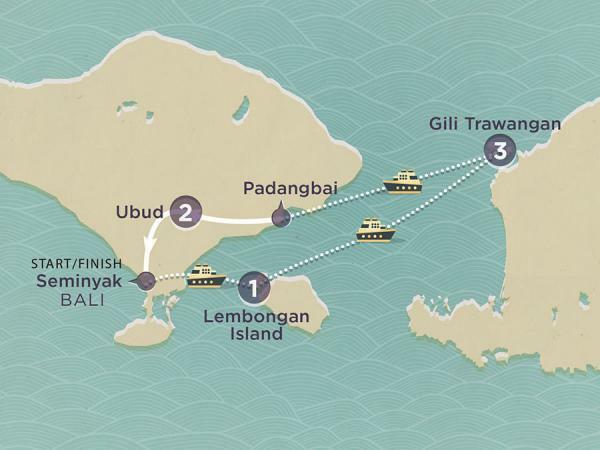 Dive in and explore Bali on this adventure through Indonesia! 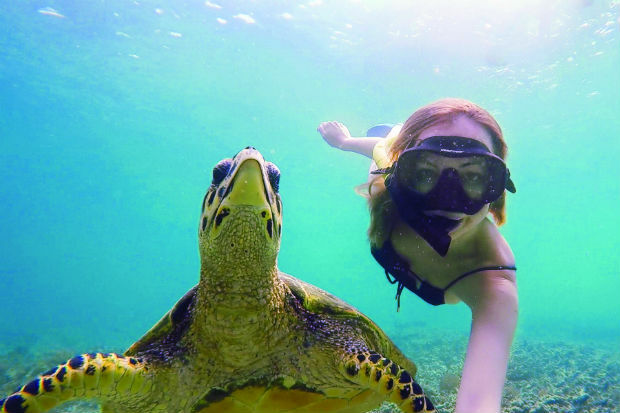 Island hop through this white sand beach paradise and snorkel or dive through the clearest warm water to eye up the colourful coral reef. Find yourself on a yoga retreat in Ubud, a downhill mountain biking tour, or a whitewater rafting excursion. Indonesia can delight and excite. Get lost in the winding streets and souks of Tangier, take a traditional hammam, visit the world’s largest medina in Fes, or relax on the beach. 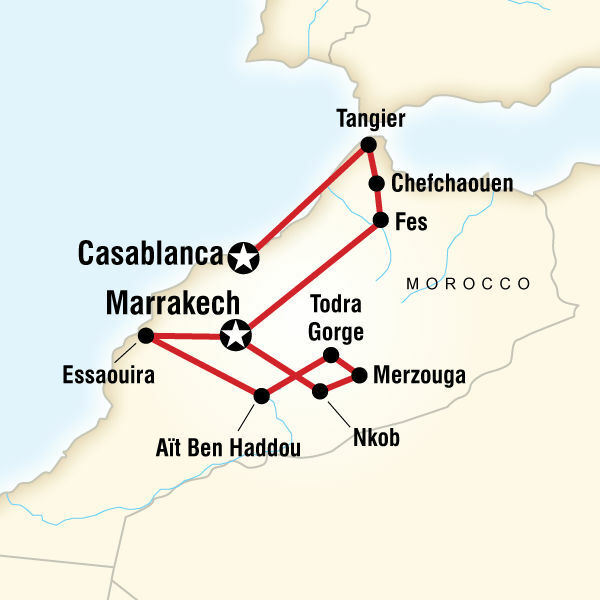 This tour of Morocco includes all of the highlights, adventure, and local experiences that you could pack into one trip with enough free time to wander. With a name as fitting as Daydream Island, you’ll be pinching yourself to see if this is all a dream. 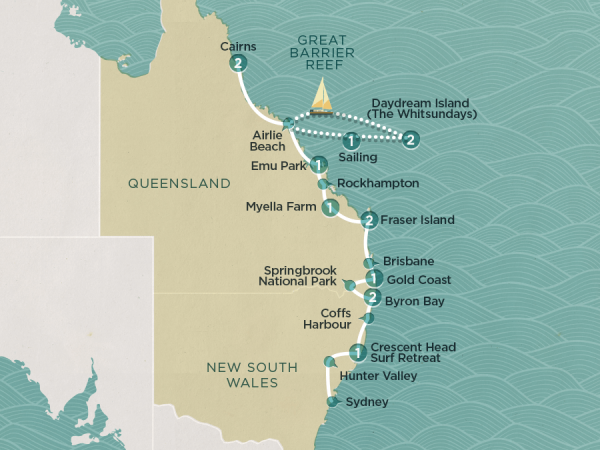 Sail the Whitsunday Islands, enjoy a wine tasting in the Hunter Valley, and take a surf lesson at Topdeck’s very own Surf Lodge. In the heart of Australia is the very heart of the adventurer! 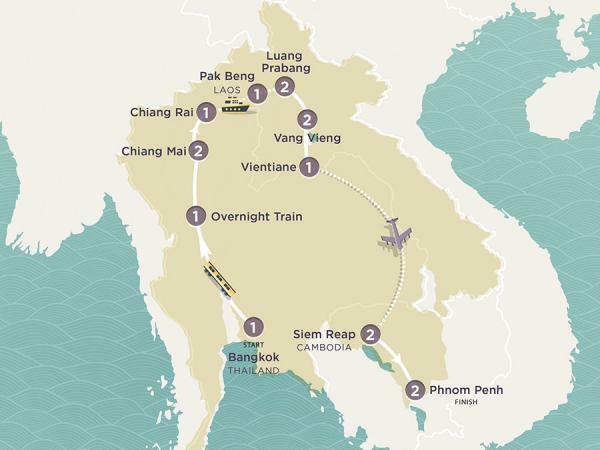 From the sacred temples in Thailand to the Pak Ou Caves in Laos, to the exciting nightlife in Siem Reap, and the floating markets along the Mekong River in Vietnam, this 27-day grand journey through Asia will change your life. Ready to get lost in the adventure? 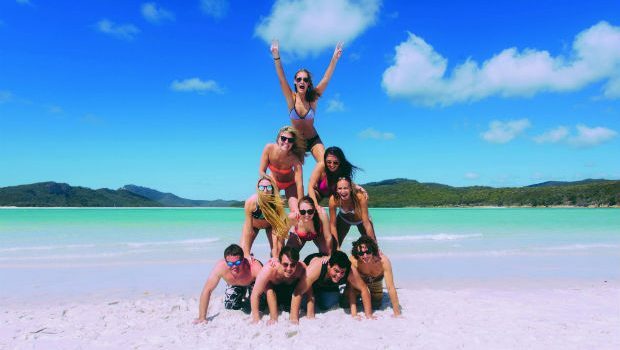 Create memories that will last a lifetime and talk to one of our Travel Experts! Connect with us online, call us at 1-855-7-YOU-FLY, or visit your closest Flight Centre store today.